I am totally geeked about fitsugar’s circuit workout plan! 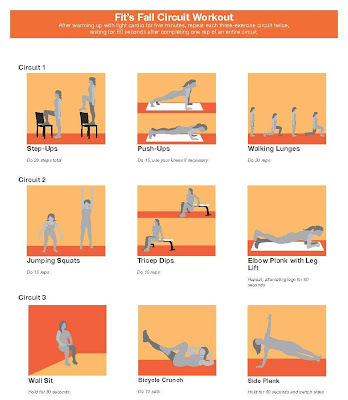 I am always looking to spice up my regular workouts and fitsugar’s Print It workout guides are a fabulously easy way to mix it up. Check out the other workouts below! On my quest to lose those few pounds I “accidently” picked up during my first year of marriage I was nosing around on one of my favorite trainers websites, (Betsy McNally)and discovered this fun quick reference list of foods to eat and foods to avoid! ** A huge thank you to Fitness Pro Besty McNally for allowing me to publish these fabulous tips!